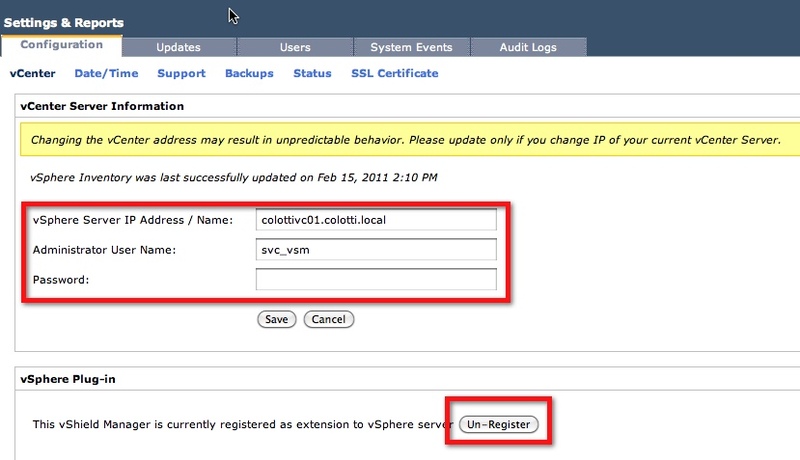 This article has been updated to add some vCenter Role Assignment recommendations as of March 11th, 2011. Recently, I was having a conversation about the need for some domain service acocunts to support vCloud installations and I realized there is not a great grouping of which applications need what service accounts and how they map to usage. So here is a little bit of insight on what I have seen in the field and actually how I setup the service accounts in my lab and over the past couple months as it relates to VMware vCloud specifically. It is important to understand that by using service accounts you can control in a single place the access by certain services within vCloud Director as things change over time. Personally I am a big fan of service accounts and I think the more you have specific to a particular set of services the better it is and the easier you can audit access. Usage – This service account is sometimes used by folks to run the vCenter services and can also be used to install the vCenter services. Requirements – Allow “Log on as a Service” right and Local administrator to perform installation. Also post install the service account will need to be set on the Update Manager Service. By default it is setup as ‘SYSTEM’ and startup of the service will most likely fail. Database Access – DBO on vCenter Database and Update Manager Database. vCenter Role Assignment – This also needs to be assigned at the top most level of vCenter as an Administrator I recommend making a copy of the Administrator Role to a new one so in the future this role could possibly be limited for security purposes. 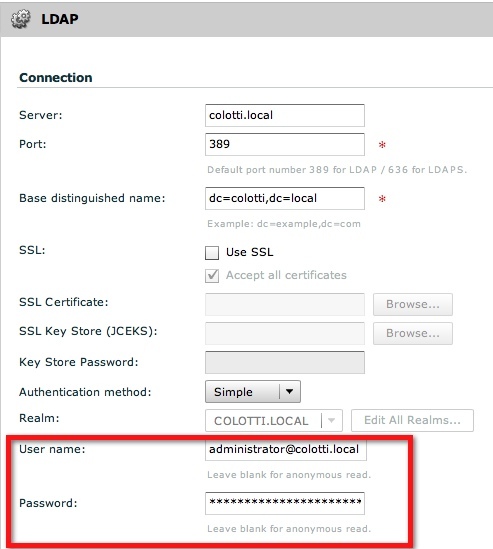 Requirements – Allow “Log on as a Service” right and Local administrator to perform installation. By default the services will be set to run as the context of the user logged in during the installation so BE SURE to log in as this service account to perform the Chargeback install. vCenter Role Assignment – This requires “Read Only PLUS Storage Views” access in vCenter for NORMAL operations. This should be a new role in vCenter you create and assign to this service account and also should be applied at the top most level down. NOTE: During installation and plugin registration this service account does need to be flipped to Administrator. vCenter Role Assignment – None required. Usage – This information will be pre-populated by vCloud Director with version 5.0. Changing this is not recommended as it will simply change back at some point. This may be modified at some point for proper auditing and it could be changed at a later date. vCenter Role Assignment – Like most of the other service accounts this requires top down vCenter Administrator access due to the nature of what it must talk to, but it will be the same account as vCloud Director is using to connect to vCenter so rights should already be assigned. Hopefully this provides some insight as to the service accounts you may want to setup prior to installing and configuring VMware vCloud Director. As new products like Request Manager are introduced, these in turn will most likely use additional service accounts especially within vCenter to control access to certain functions. Service accounts have always been a useful tool, but in many POC’s we see folks using their own personal credentials or other known accounts causing problems later when passwords change. Sometimes we forget which account we created so setting these up in the beginning can save you some headache. Below is a simple table as a basic cross reference for the accounts discussed above. It should be noted that having these up front will make it easier for proper security and troubleshooting down the line. Great post! Thanks for combining and sharing this useful info.